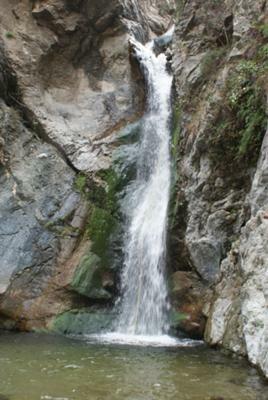 Eaton Canyon is pretty close to Los Angeles and is a great place to hike. It’s a very good falls with a good hike for about 1.5-2 miles ending at its base. The trail is pretty good and the small streams that you pass through while hiking leaves a pleasant feeling. A group of people would really make the trip very nice. We have been there in March and the waterfall is very good. But the water is still cold enough that you can’t really plan to get in to swim in the small pool area in front of the falls. Overall, its a good place to spend time for about 4-5 Hrs. About Good experience, Decent Falls!! !